Oh, Marvel. You're zazzy. You're super zazzy since Marvel Now will eventually come in and it won't really matter what's happening in current storylines. So tune in to Episode 179 right here and over on our Facebook page. 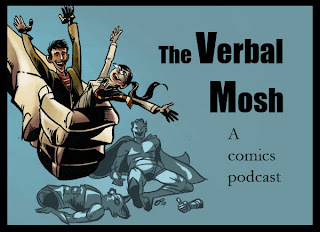 This week, The Verbal Mosh reviews Batgirl #12, Batman #12, Batman and Robin #12, Before Watchmen Ozymandias #2, Captain America #16, Fantastic Four #609, Mighty Thor #18, Scarlet Spider #8, and Superboy #12.